Gas is an extremely efficient way to heat your home. 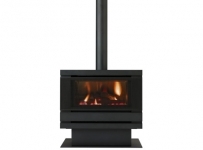 It offers clear advantages over both electricity and wood-fuelled fires. 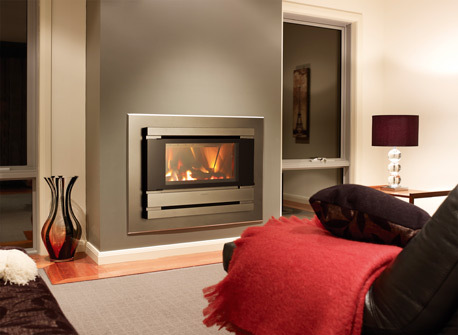 With gas, more energy translates to heat in your home. That’s good for your pocket and the environment! Gas log heaters provide all the ambience of a genuine wood fire, so you can snuggle on a rug or laze on a sofa to enjoy the presence of dancing flames. 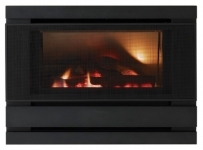 Cannon Gas Log Heaters demonstrate our solid, exacting and aesthetic workmanship. 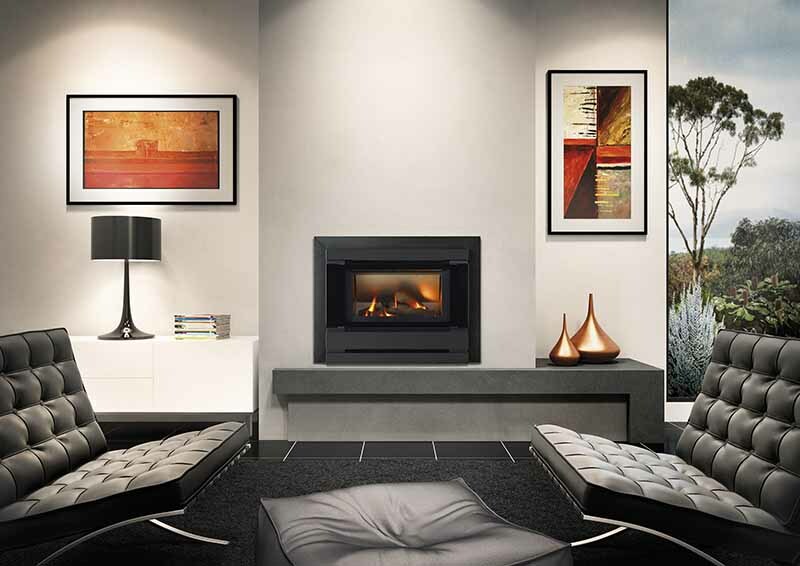 Our products are Australian made (and made to look Australian) and we are Australian owned. 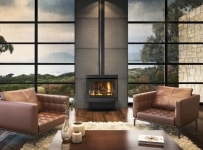 Choosing a Cannon Gas Log Heater gives you energy efficiency, style, performance, reliability and, just as importantly, warmth without the work. All models in our inbuilt Fitzroy range unite incomparable features with minimum fuss. 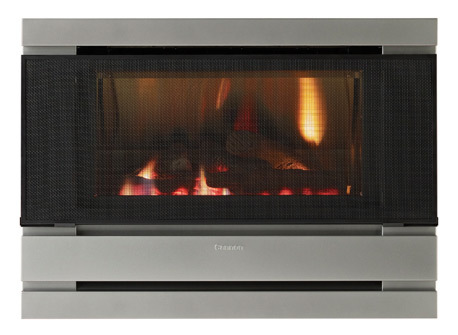 The easy to use electronic switching comes standard with each model. For greater convenience, add an optional remote controlled thermostat. 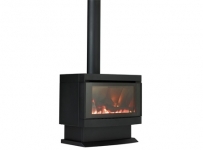 All models have a choice of three or four sided surrounds in black, stainless steel or platinum finish. 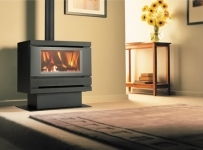 If, however you prefer a freestanding model then choose from the two Fitzroy inbuilts that can be optioned as a freestanding heater. The Powerflue is a true masterpiece. While maintaining convenience and aesthetics it can vent up, down and horizontally out the back, making it the perfect solution for heating every floor in a multi-storey dwelling. Added to this versatility, the Powerflue is a highly efficient heater, and depending on flue choice, is rated up to 5.50 stars. 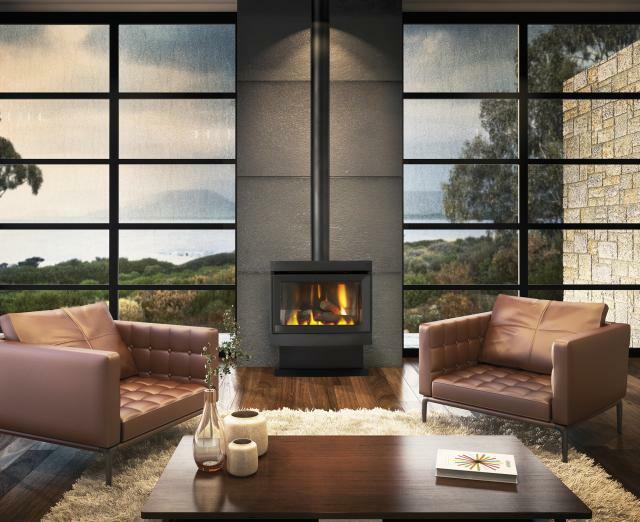 Make every homecoming warm and inviting. 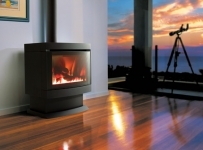 Smooth, curved lines exemplify the workmanship of the Canterbury range. Designed to fit into any existing wall cavity, both models offer a trio of fan speeds, heat settings and electronic switches. 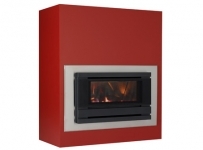 Choose from freestanding or inbuilt and still enjoy double glazed glass, an enhanced flame effect and the option of a remote thermostat.